P.S. Continued use of GPS running in the background can dramatically decrease battery life. 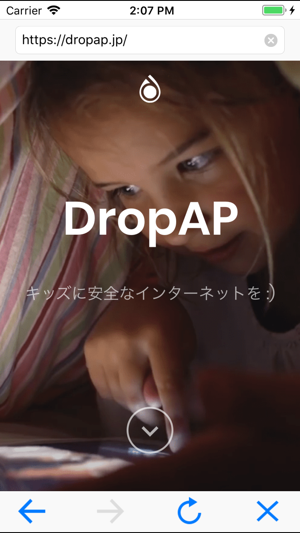 When you’re ready to take control over your children’s mobile app and internet usage, you’ll need DropAP CX. Built for use with the DropAP App and Router system – simply install DropAP CX on your kids’ mobile devices to filter and monitor the entire household’s internet privileges from your own smartphone. After installing DropAP CX on each of your children’s mobile devices, you’ll immediately be placed in a position to uphold complete control over what kind of content your kids are able to access on their smartphones, tablets and computers. The DropAP App and Router system paired with DropAP CX enables you to maximize the full potential of your home network and your family’s values. We’re the Smart and Secure Internet Access Solution that keeps your household safe. 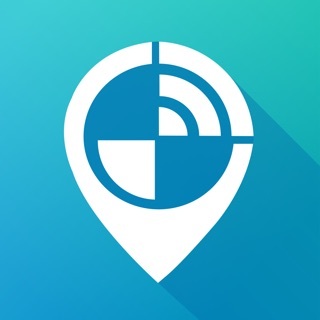 After installing DropAP CX on your children’s devices, you’ll be able to manage the apps that your children can access on their smartphones and monitor their current location through your own DropAP App (installed on your “parent” device). Just visit the “Manage Devices” screen on DropAP, select the individual device you’d like to manage, and tap “Mobile Watchdog.” Through the Mobile Watchdog feature, you’ll be able to control which apps the devices on your home network have access to. You can freeze access to Tumblr on tablets, prevent your children from using Twitter on their laptops, or block out Facebook on iPhone. Your ability to manage your children’s apps is unlimited with DropAP CX. Through your parent DropAP App, you can manage the types of websites that your children have access to by setting distinct categories for their internet usage. You’ll also know exactly what kind of content your children are accessing on all of their devices, since you’ll be able to monitor your children’s browsing activity in real-time. Prevent your kids from viewing adult content, graphic images or vulgar media while they’re experiencing their most impressionable years. Once DropAP CX has been installed on your children’s devices, your app restrictions and website filter settings will continue to “stick” even while your children are away from home. Your settings will protect your children on 3G and 4G mobile data connections, as well as on public and private out-of-house Wi-Fi connections. Your children’s devices will receive all of the benefits and perks that come along with the comprehensive DropAP Router system. Kids’ devices will have access to the 24/7 hyper-secure threat protection, virus blocking and scam prevention services that your DropAP subscription offers to your entire household. They’ll also experience DropAP’s supercharged router functionalities and lightning-fast Wi-Fi. Monitoring your children’s app and internet accessibility isn’t about limiting their lives in any way. It’s about benefiting them to the fullest while they’re still undergoing their developmental years. Limiting children’s social media usage, internet accessibility and access to certain apps can promote healthy long-term growth. Utilizing DropAP CX may actually urge children to become more socially active, physically fit, goal-oriented and focused in their pursuits, as their time spent using mobile devices becomes better managed. DropAP CX can ultimately be used as a positive tool in your children’s lives while simultaneously benefitting your entire household. Raising healthy,active and strong children is one of your greatest goals as a parent – and we’re here to help your family flourish through the DropAP Smart and Secure Internet Access Solution. Request the access authorization for children's location tracking in iOS 11. Copyright © 2018 DropAP. All Rights Reserved.